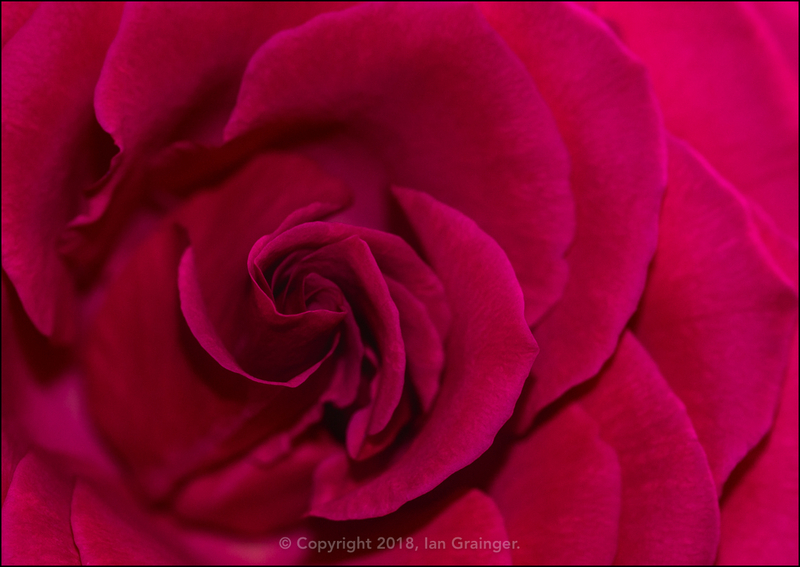 So, as this is my first post of 2018, I'd better start by wishing everyone a Happy New Year. 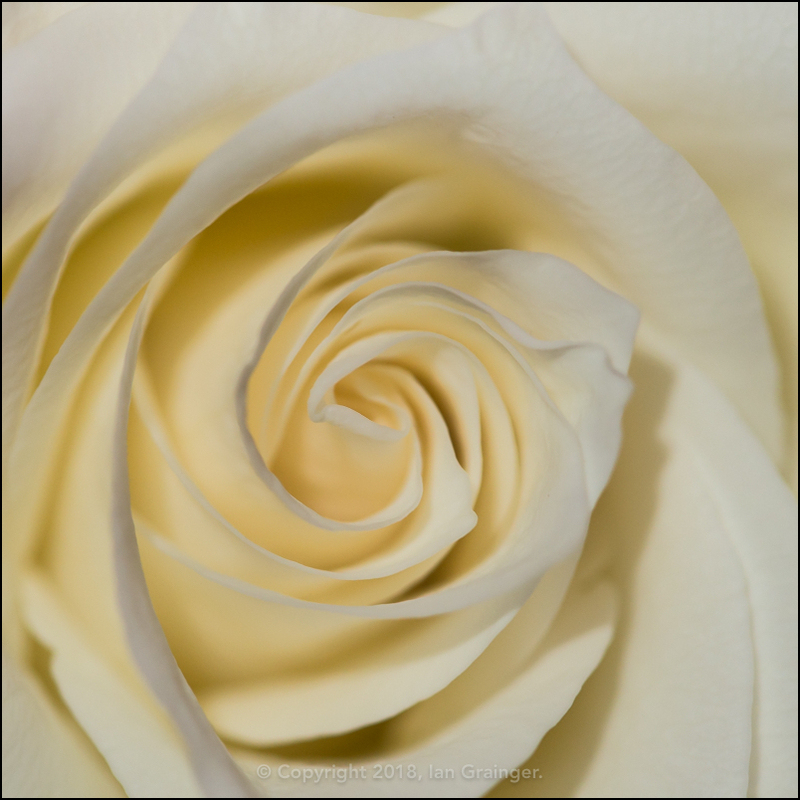 ...and this creamy white example. We've had all sorts of weather since my last post, including thunder and lightning, hail storms, snow, torrential rain, hard frosts and eventually some sunshine. 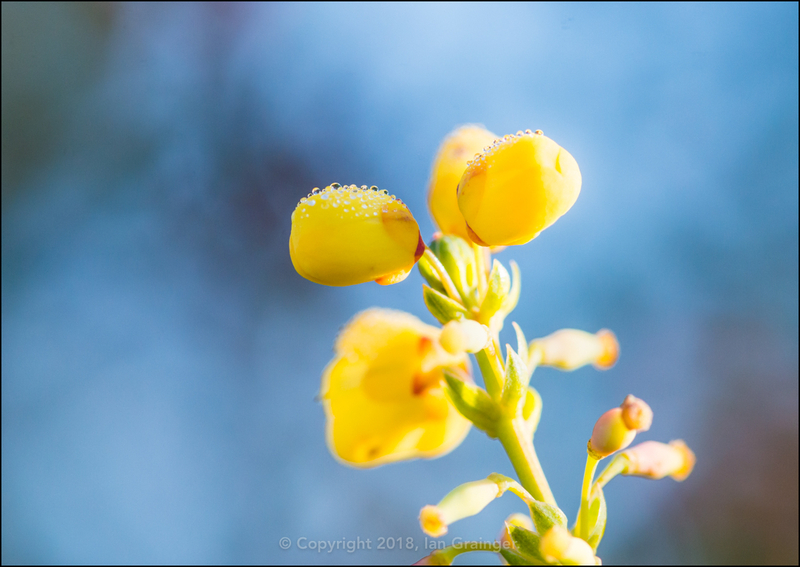 However, I managed to grab a few images in dad's garden in some calmer moments. 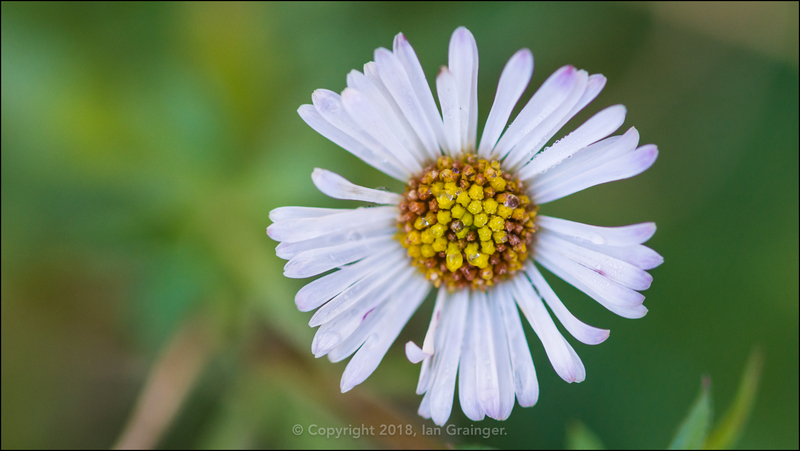 To my great surprise, this Erigeron (Erigeron karvinskianus) was still flowering, despite the best efforts of the weather to kill it off. 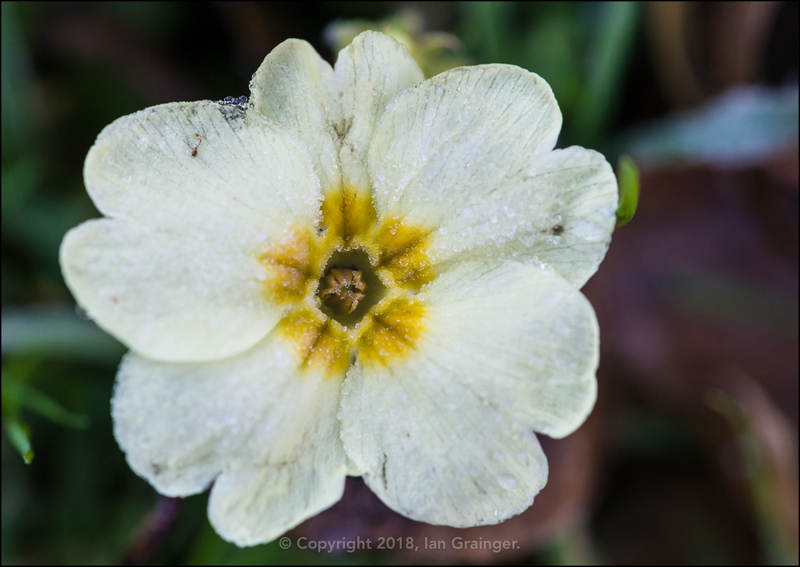 Just before the turn of the year the Common Primroses (Primula vulgaris) started to appear. 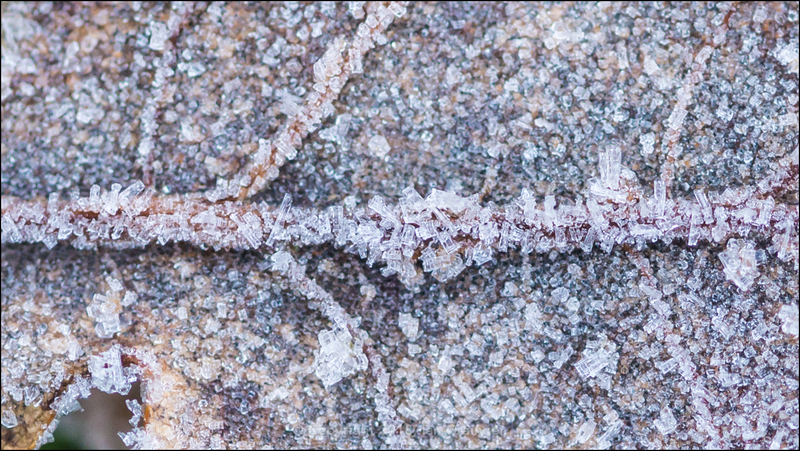 This one was coping admirably with a coat of frost. 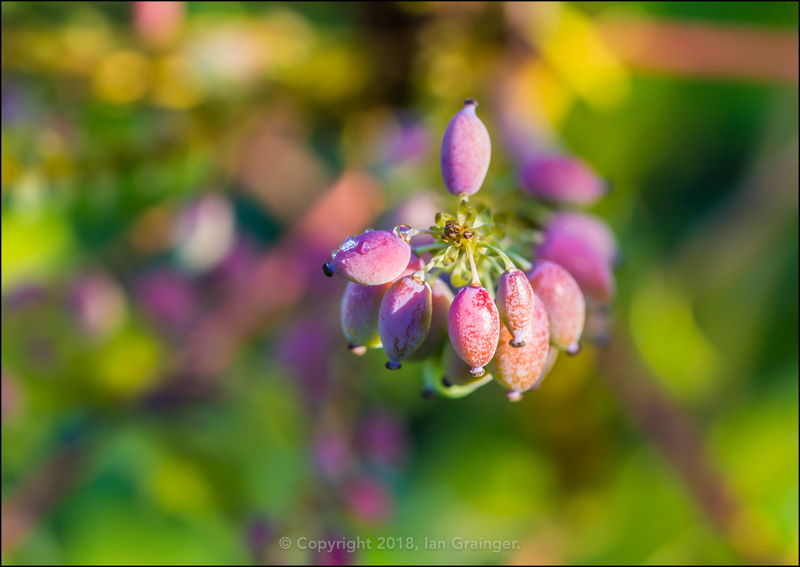 ...and the bush was breaking out in a mass of these colourful berries. 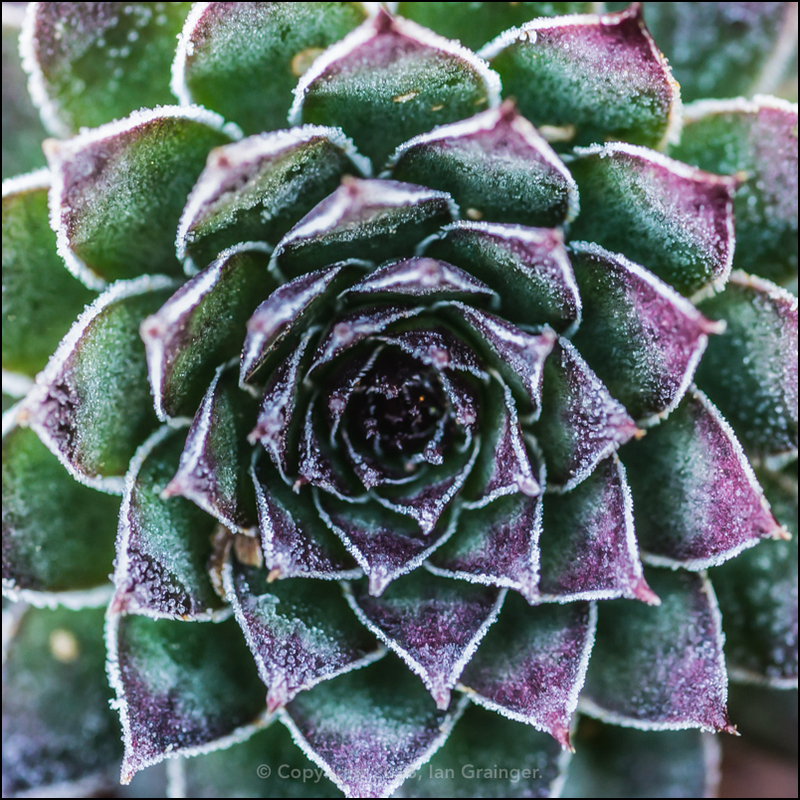 This frosty Houseleek (Sempervivum) caught my eye, as I found the radiating frost tipped leaves to be quite hypnotic to view! 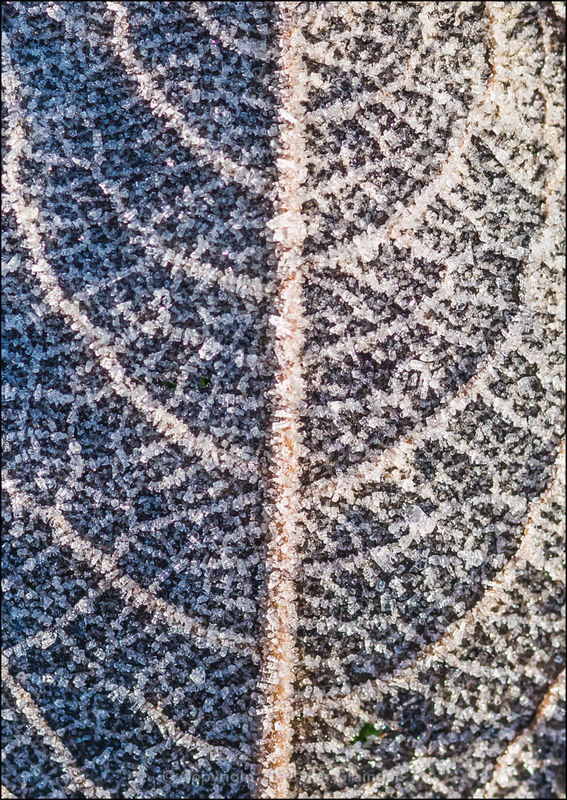 ...and the pattern this leaf formed, with half of the leaf being in sunshine, and the other half being in shade. Finally, I talked about the Supermoon a few weeks ago, and mentioned that we would have two this month, one on the 1st and another on the 31st. This shot was taken a few days before the 1st, just as it was beginning to get dark. 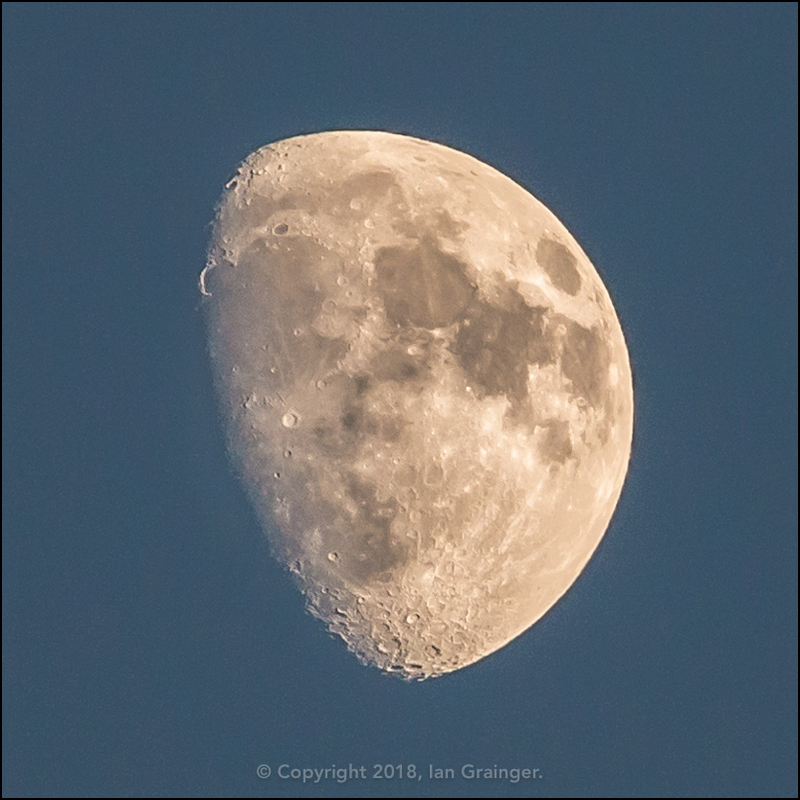 If you'd like to try photographing the moon, you may want to check out my short tutorial which has a few tips on how to get the best results.